Can I guess your password? Is it 123456? Is it password? No, I’m not a mind reader… those just happen to be the 2 most common passwords (according to Sky High Networks). While we’ve all been warned against using such simple passwords, you can kind of see why people revert back to them. The thing is, we’ve all got so many different accounts out there that coming up with different passwords for each and then remembering them all is next to impossible. So, what should you do? Well, instead of using common passwords, use this FREE printable password organizer. If you’re savvy, this printable password organizer is the perfect solution to your password memory issues. Sure, you could skip this printable password sheet and just store your passwords in a text or Word file on your computer but what if you get hacked? What if you’re not at your computer and need a password? 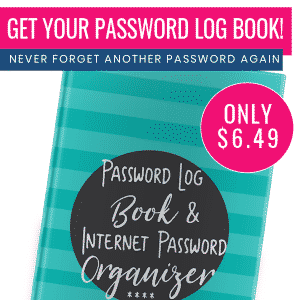 See, the printable password organizer really does make sense! 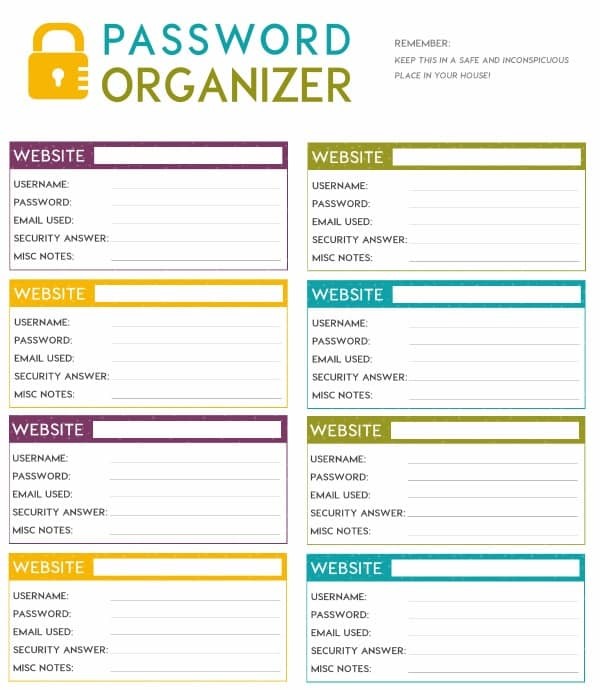 First, grab a copy of the free printable password organizer. (Depending on how many online accounts you have, you may need more than one printable password sheet). Then make a list of all your online accounts. Now, take a minute to consider your current passwords. Are they easy to guess? Are you using the same password again and again? If the answer is yes, it’s time to make some changes. One by one go to each online account and update your password to be something more secure. 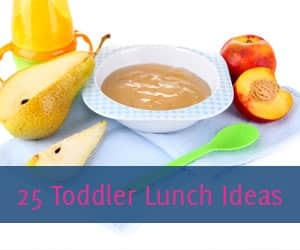 Consider using a mixture of upper and lowercase letters, numbers, and special characters (such as @, !, ?). Be sure to write your new password down on the printable password organizer. Yes, this will take a chunk of time, depending on the number of online accounts you have, but the security of your personal information is worth it! If you’re already using diverse and secure passwords, there’s no need to make any changes! Just write your existing passwords down on the printable password sheet. Now, here’s where being savvy comes in. Do not store your printable password organizer in a highly visible or obvious place. For example, don’t hang it on your fridge or leave it lying out on your desk. I recommend making a copy of the printable password organizer (in case you lose or somehow damage one) and then storing both copies away in separate locations. For example, you could file one printable password organizer in a folder others wouldn’t suspect such as “appliance warranties”. 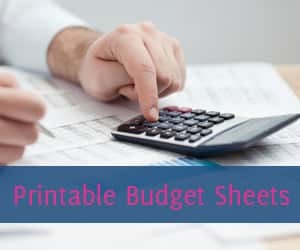 As long as you’re careful with how you store the printable password sheet(s), your information should remain secure. Ready to get started? 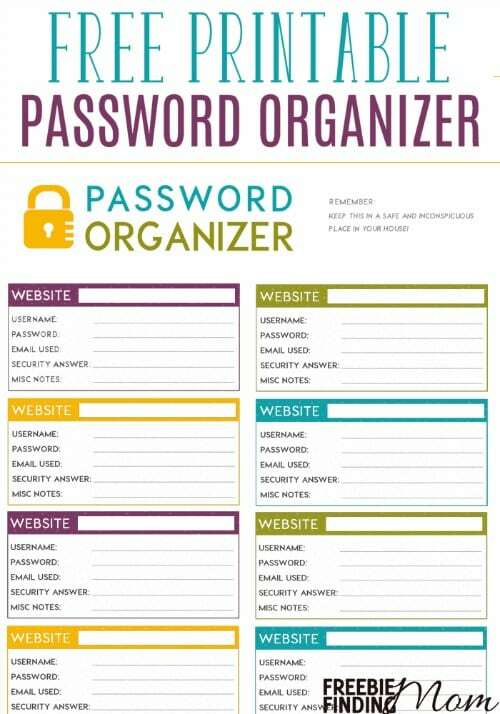 Download your Free Printable Password Organizer now. 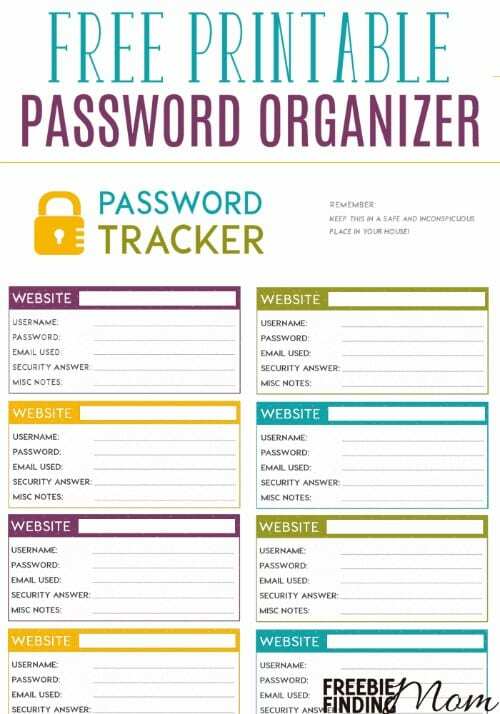 Looking for more helpful freebies like this printable password organizer? 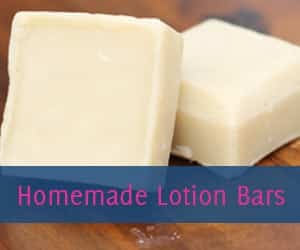 Follow Freebie Finding Mom’s Freebies Pinterest board, and discover more ways to keep your home organized by following Freebie Finding Mom’s Organized Home Pinterest board. Does not work, just keeps saying processing after I enter my email address. I can’t get it to download either. Can you please email me one? stefd5683@gmail.com Thanks so much! I cannot get this to download, could you please email it to me. Could you email password sheet to me as well? I can’t get the link to work even though I got an email saying that I have subscribed. Can you please email me this free printable at kgriff0925@hotmail.com? Thanks! Been stuck on ‘processing.’ Please email me! May I also get the free printable list for “Password Organizer”. Thanks. May I please have it emailed to me also ms.caudill5@yahoo.com, I can’t get it to work. Thank you! 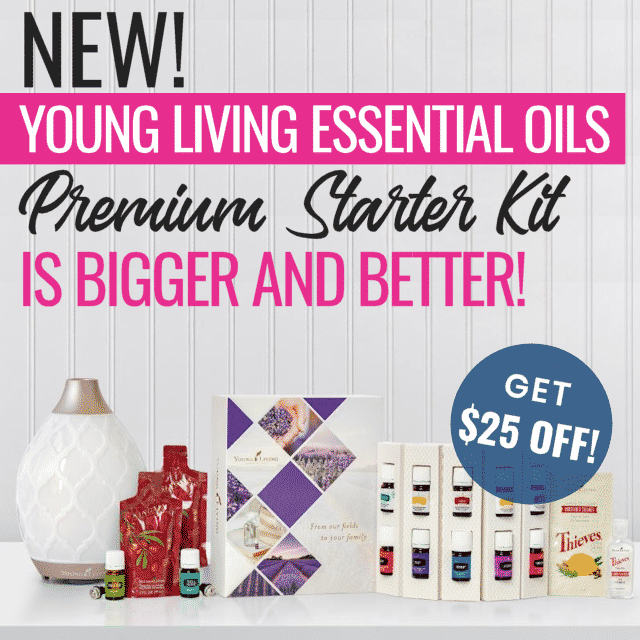 I can not get this to work can you email to me? i’ve done the download but can’t figure out how to get this. can you send this to me via email? Hi! I am in love with the sheet! Do you mind emailing me a printable version please? Hi, can you please email this to me? I can’t figure out how to download the Password Organizer. Even after signing up for your emails, I can’t seem to find where to download that or any of the other printables. I must be missing something somewhere. Hello, I just joined emailing list, but wasn’t able to download. Could you email me as well? Hi, can I please get a copy of this download also? I joined the email, but still want able to download it. And I really need something like this. I have a bad memory. Thank you so much!! Can you please email this to me? I have tried to subscribe and download it and it wont. I also can’t get the free password organizer printable to print either. Could you please send it to me. I figured out finally how to download the printable password organizer and saved it. Thanks! hi, i was unable to get the download, could you email it to me? As Kasaundra asked above, the link you provide takes a person to the sign up sheet. I got my password email, so where is the field that I type my password into? Can you link a screen print here for all to see where the password is typed into? Really could use this. But the loader doesn’t seem to be working. Could you email to me? Thanks! Can you please email this to me because it will not let me print off the password organizer. Thank you much I really appreciate it! I have subscribed, confirmed, received the Welcome email and still can’t gain access to any of the FREE Organization or Home Printables. I read some of the comments here to see if I could figure it out, but after trying everything suggested it is still not working. Very frustrating! Can you please email me the Password Organizer at least. Please email me this printable, I’d love to use it for work. Thanks so much. I signed up, but there is no link for the printable password download. I’m unable to download this. Is it ok if you email it to me please? 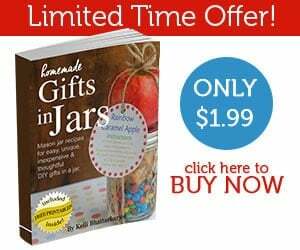 I can not access any of your printables and theirs a lot of them I wanted but could you send me a email also with this one please. I cannot get this Password Keeper to download. Very interested in this printable. Unable to download as well. Can you please email me the pdf? Thank you. Sorry Keli, I found a link within your comments, I subscribed and was able to down load. Thank you so much.